We see them everyday, or at least I know I do. 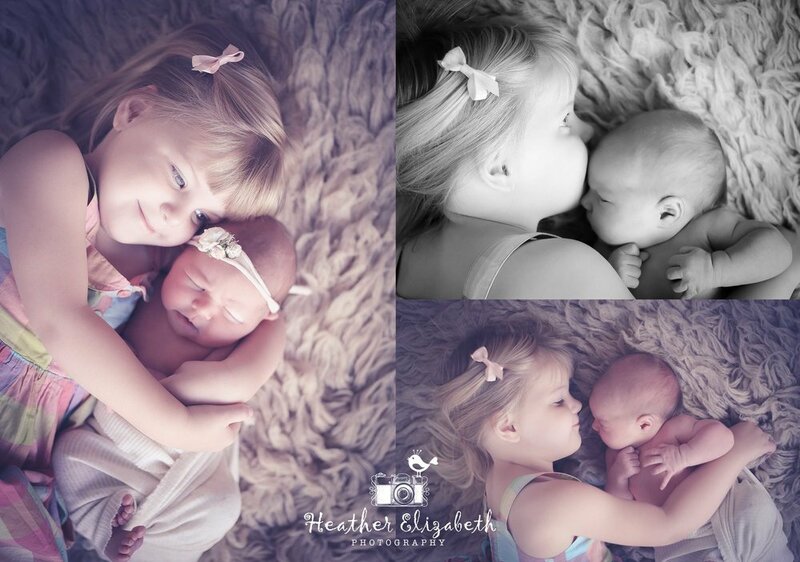 These beautiful 'angelic' images of a brand new baby beautifully wrapped in the arms of their very 'well behaved' sibling. I follow that many newborn photographers on Facebook and Instagram I am like a Serial Newborn photographer stalker! As simple and as perfect as the shots looks, sometimes (my judgement is about 90% of the time) its a little bit more tricky and a lot more hard work to get something that has the correct mix of emotion, reality and usability. As a mum of two now I know first hand how hard it is getting that perfect sibling shot, even now my babies are getting a little bit older and the baby is more sturdy, its almost impossible to get two smiles, or a perfect cuddle. Hiring a professional sometimes is a great option and sometimes its all about letting them be and capturing something more natural. This image here is probably as 'natural' as it gets. This particular one I have up in my house as it makes me smile. 'My' children clearly are a little bit 'Camera Shy'. Anyone that knows me, knows how much I adore kids being kids and how much I love the more candid shots of my own babies. Its always very daunting for a new sibling when they become that 'big brother or 'big sister'. A lot of the newborn babies I photograph are between 3-16 days old, which in sibling time isn't a lot of time for them to 'get comfortable' with their new baby. You get siblings who are extremely excited and happy to hold, kiss and cuddle their newborn baby. And then theres the other side of the scale which is a nervous sibling who wants to cuddle mum and would quite happily cling to an iPad than be within an inch of this new baby who has taken over their world! (this type is my son Jude). Its all about taking time with them, easing in with maybe a parent in the = shot, letting them choose the parent they want to sit with etc. Children are much happier when they feel they are little bit in control. 2. Take away all the scary props..let them be. A photography studio can be an extremely daunting place for a young child, clean backdrops and scary fluffy wool blankets. Not to mention a scary women with a camera in your face...Who you have probably never met before in your whole life! What if we take it all away and just let them be, ask them if they want to hold the baby? give them options so they feel in control, do they want to kiss the baby or give them a cuddle? Some of my favourite family/sibling shots have been from lifestyle sessions at home where we let the children be as close or as far away as they want, they are in their own environment and don't feel under pressure to 'Perform'. 3. Bribery - Wheres that biscuit tin! I have heard it all, Maccie D's, Toy shopping, Cakes, and of course the classic 'Kinder egg'. If all else fails sometimes a little treat can do the trick as does the old - Its 'Just one photo' promise. Quietly turning my camera to continuous mode and hoping to get a good 20 images in a brief moment. Even as an experienced newborn photographer and a mum. I don't always get these photographs exactly how I plan them and sometimes they are challenging to get perfect or even get at all. In some cases the less than perfect ones turn out the best ones. Something I do love is that every single sibling shot is unique, every child is different, different ages, sometimes more than one, older, younger, some bold and some shy. Thats what also makes these Newborn Photographs so special. Older PostMothers day Mini sessions!